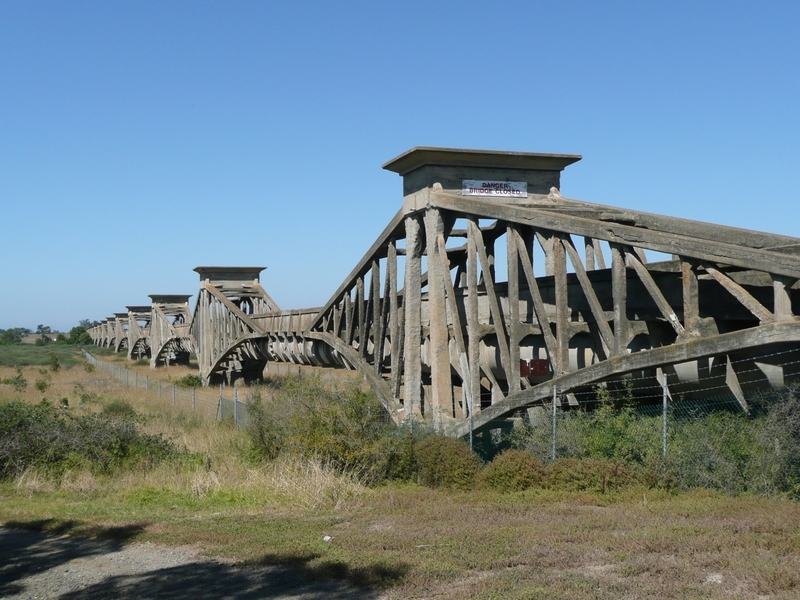 The Ovoid Sewer Aqueduct was constructed over the Barwon River at Breakwater in 1913-15 for the Geelong Waterworks and Sewerage Trust as part of a sewerage scheme to serve Geelong. The sewer extended south from the urban centre of Geelong to the coast at Black Rock to discharge into Bass Strait at the shoreline. 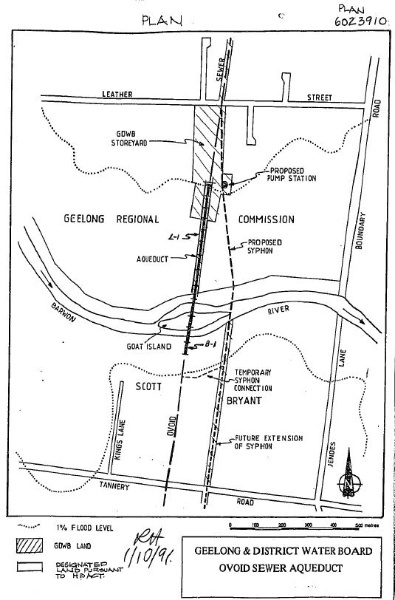 The outfall sewer, which comprised a reinforced concrete pipe of ovoid shape, crossed the Barwon River at Breakwater and was conveyed across the flood plain by means of a long reinforced concrete aqueduct of innovative design. The aqueduct and sewer were designed and constructed by Tasmanian engineer Edward Giles Stone and his partner Ernest J. Siddeley. A purpose-built factory was established nearby, adjacent to the railway, to manufacture the sections of sewer pipe, with production commencing in 1912. The aqueduct is approximately 756 metres in length and carries the ovoid sewer pipe and a walkway. It consists of a series of trusses which cantilever from fourteen concrete, corniced piers. Girders bridge the gap between these trusses. The form of the aqueduct was inspired by an overseas rail bridge design, the steel Firth of Forth Bridge, Scotland, constructed by 1890. 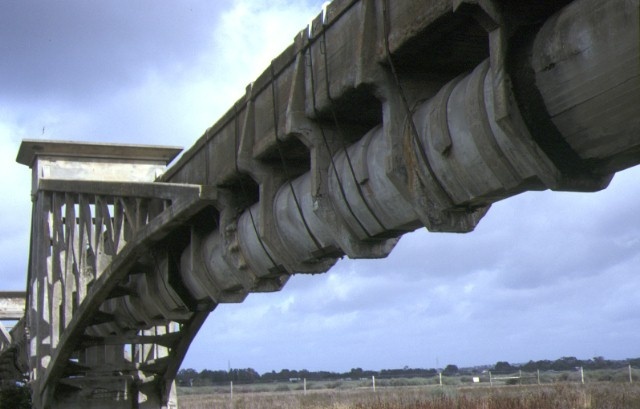 One of the most innovative forms of concrete reinforcement used in Australia, the Considere system, was used in the construction of the aqueduct. Heavy spiral reinforcing bars were used to increase the compressive strength of the concrete core. E. G. Stone was the greatest individual exponent of this system and his design of the Dennys Lascelles Austin wool store at Geelong in 1909 (now demolished) was an excellent example of the application of this system. Stone was also a great innovator and this is evident in his application for a number of patents from 1908. 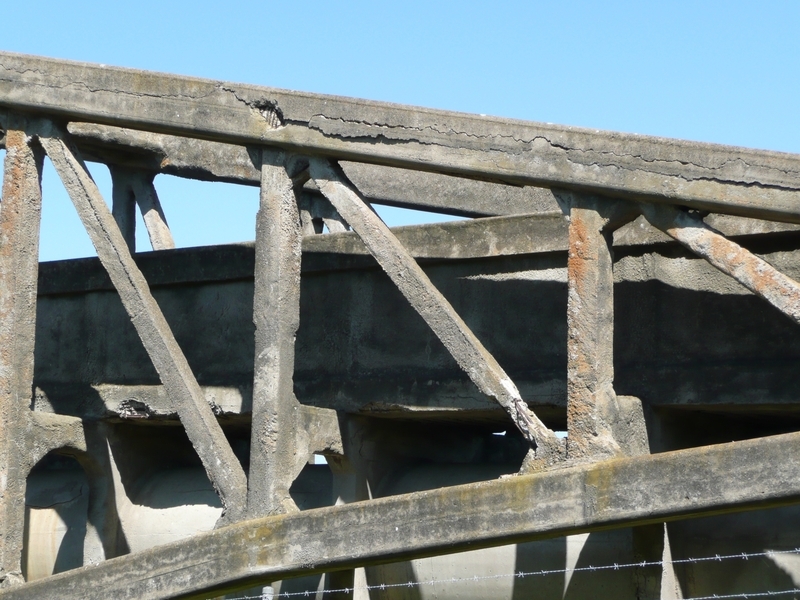 Cracks began to appear in the concrete work of the aqueduct as early as 1922 and initial repairs were made in 1923-24. Other repair works have been made since this time. The aqueduct was decommissioned in 1992 following the construction of a new sewer main under the river however the structure has been retained. The Ovoid Sewer Aqueduct is of architectural, historical, scientific (technical) and aesthetic significance to the State of Victoria. The Ovoid Sewer Aqueduct is of architectural significance for its association with the engineers Edward Giles Stone and Ernest J Siddeley, who undertook a number of marine projects in southern and eastern Australia, including reinforced concrete ships and pontoons. Stone was a highly innovative and creative engineer whose daring structural systems challenged the limits of construction technology in the early twentieth century. 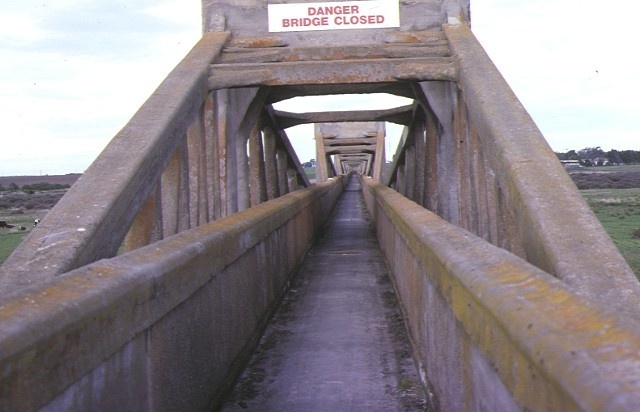 His advanced work in reinforced concrete, the Considere system in particular, is of great importance and his design derivation from the steel Firth of Forth Bridge in Scotland is of particular note. 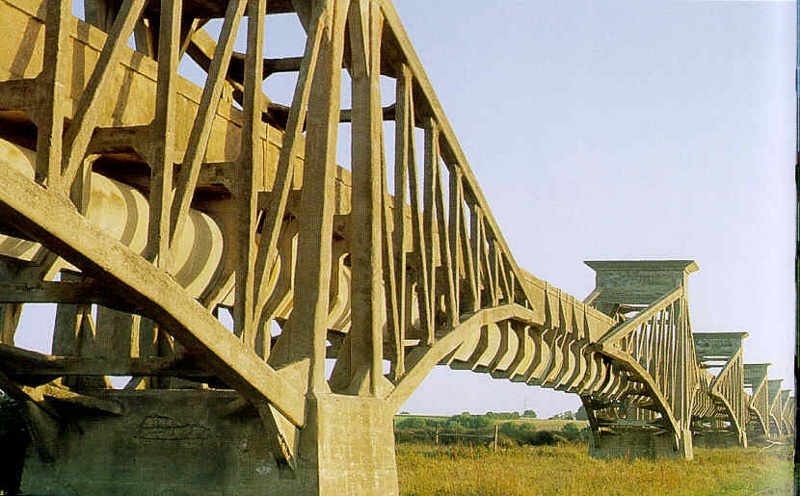 The Ovoid Sewer Aqueduct is of scientific (technical) significance as an example of pioneering concrete work of structural ingenuity and monumental scale. 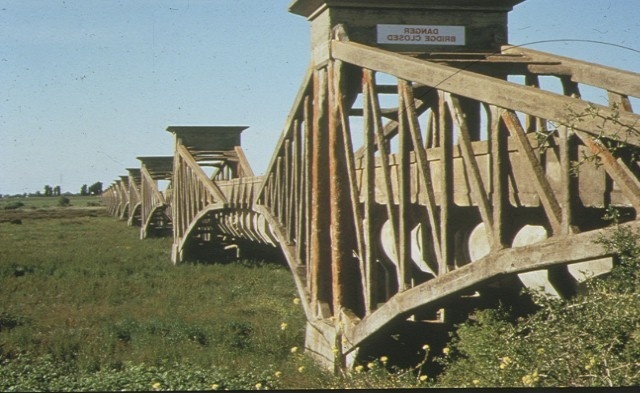 The early and innovative use of reinforced concrete in the Considere system, which was the most innovative form of reinforcement used in Victoria, is of great significance. The aqueduct remains as a rare example of this type of concrete construction. 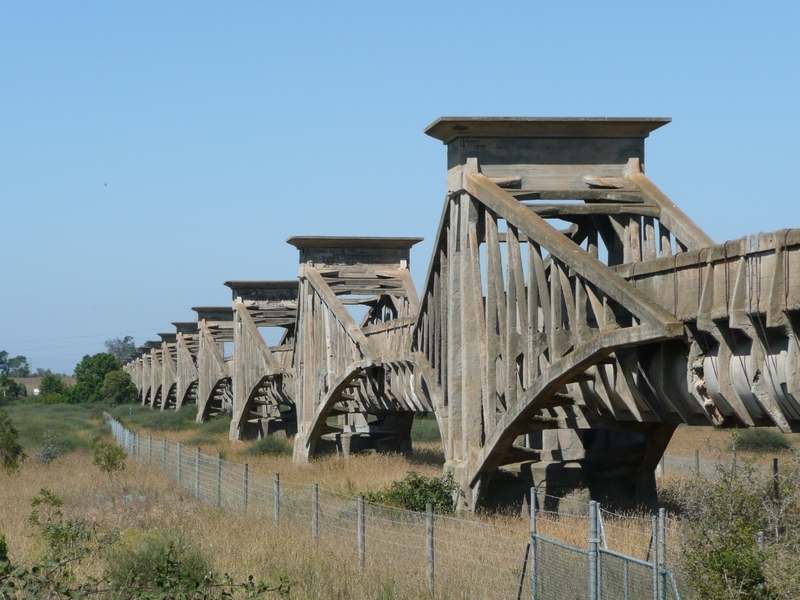 It is also of scientific (technical) significance for its overall length and the maximum span length, both of which appear to be in excess of that of any other Victorian reinforced concrete structure at the time of construction. The Ovoid Sewer Aqueduct is of historical significance for its association with the inaugural work of the Geelong sewerage scheme in 1912-15. Geelong was one of the first regional Victorian cities to implement plans for the construction of a sewerage system. The Ovoid Sewer Aqueduct is of aesthetic significance as a major landscape feature. 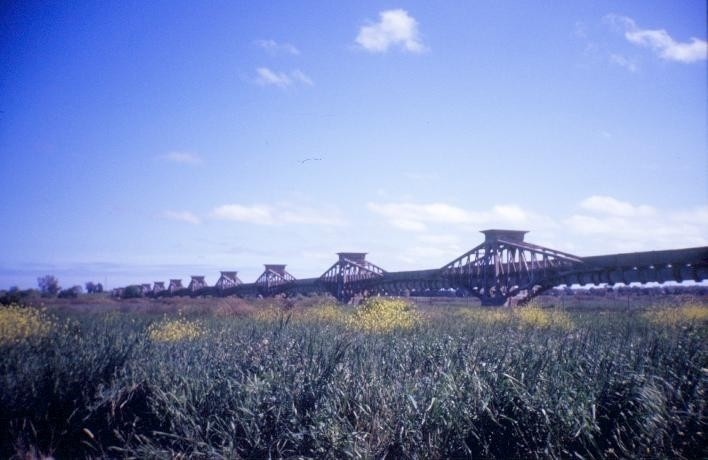 Its dramatic setting in the Barwon River floodplain near Breakwater, Geelong is of great importance. The Barwon River Ovoid Sewer Aqueduct Barwon River near Breakwater, Geelong. 2. the land 10 metres either side of the structure and 10 metres to the Northern end of the structure, marked L-1 on Plan 6023910 endorsed by the Chairperson, HBC and held by the Director, HBC being located on land described as Crown Allotment 5 and Part Crown Allotment 4, Section 12A, City of Geelong, Parish of Corio.